A South Street Seaport penthouse: the next best thing to an actual yacht? Fridays are nothing if not a time to daydream, or if you'd rather, while away the rest of the work day looking at nice pictures of pretty, expensive things. As such, no time like the present to take a look at this $2.495 million South Street Seaport penthouse and its enormous, duplexed outdoor deck. See what we mean? 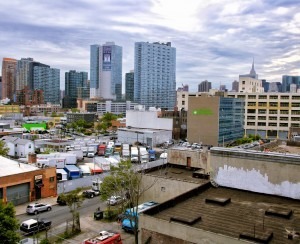 Of course, at 59 John Street between Nassau and William, the apartment isn't located directly on the waterfront (it's relatively far inland for the neighborhood), and it's unclear how much you can see from the rooftop. 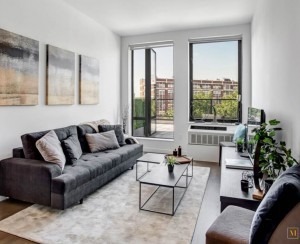 That doesn't seem to have put a damper on the price though, which, according to StreetEasy, is well above the neighborhood average sale price of $1.55 million for two-bedroom condos. The open kitchen includes a Sub-Zero fridge, Viking stove, and granite countertops, if not necessarily all that much storage space. The kitchen opens out onto a large entertaining area with 11-foot ceilings, a gas fireplace, and surround sound. Both bedrooms feature modern en-suite bathrooms, in addition to a separate half-bathroom for guests. Though the building is technically pre-war, the interiors were partially designed by much-maligned architect Karl Fischer, and the building comes with all the bells and whistles you'd expect, including storage, concierge service, a fitness center, and a lenient policy toward both pets and pied-a-terres (meaning if you lived here, you might never see the neighbors). 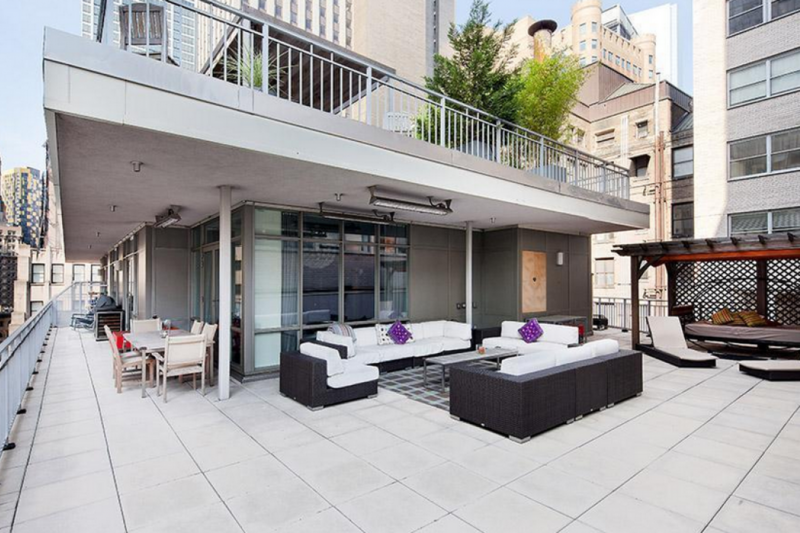 There's also the option to combine it with the building's other penthouse, which is on the market for $2.595 million. You can check out the full floor plan below, and see that the outdoor area here might actually be a little bigger than the apartment itself. Maybe not so enticing if you're still living there come winter, but for now, a major step up from the tar beach rooftops we've gotten used to. And also, a way better use of obscene wealth than a $250,000 a month hotel room, if you ask us. Ask an expert: when is a "penthouse" not a penthouse? 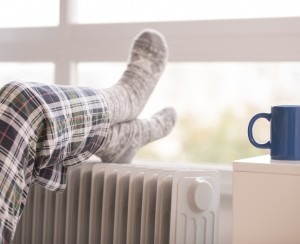 Do I have to pay for heat in my NYC rental apartment?